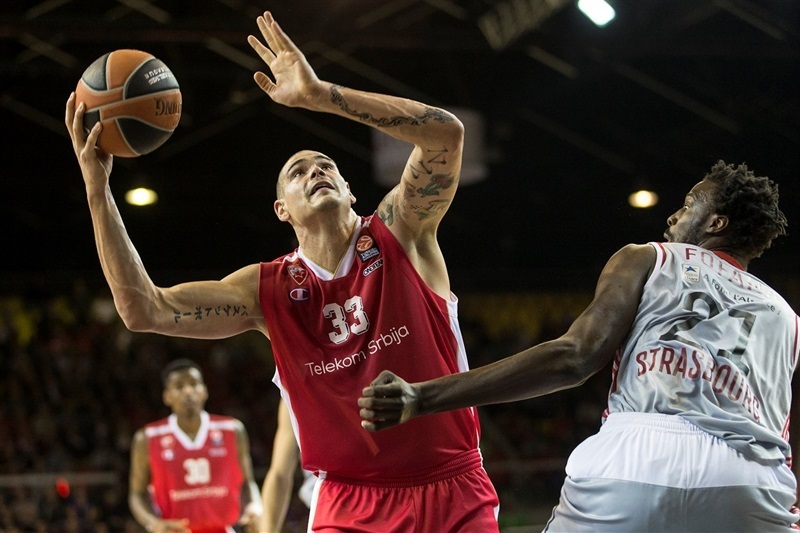 Strasbourg rallied from a 21-point second-half deficit to pull out a dramatic 78-75 win over visiting Crvena Zvezda Telekom Belgrade on Thursday night. 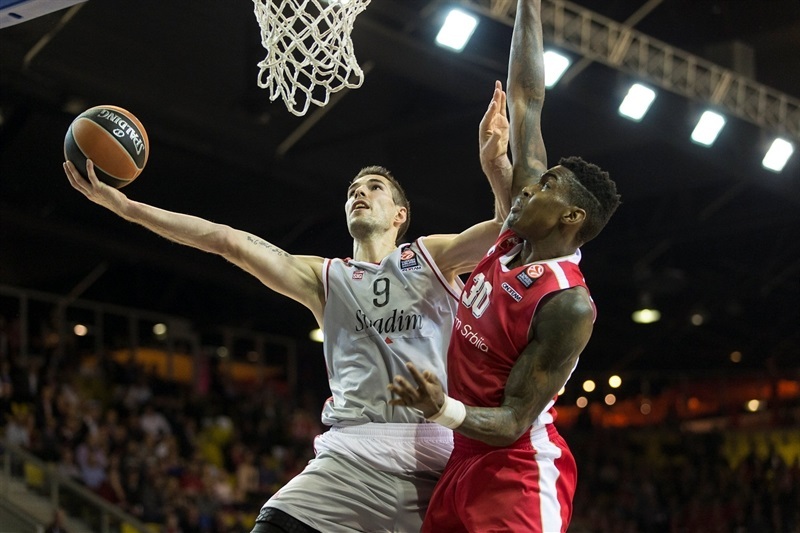 It was the third win in as many home games for Strasbourg, which improved to 3-3, while Zvezda dropped to 2-4 in Group A. Quincy Miller and Zvezda came out of the gate hot. Miller hit 4 of team’s 7 triples in the first quarter and Zvezda buried 10 three-pointers before halftime and held an 18-point margin at the break. Miller made it 34-55 at the start of the third, but the hosts, led by Jeremy Leloup, slowly started to cut into the deficit. 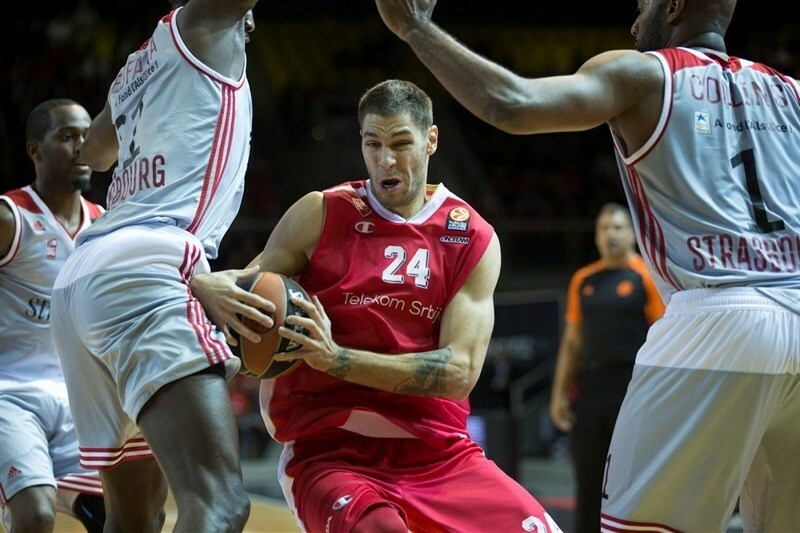 A 15-0 run that bridged the third and fourth quarters got them within 63-64, and a 10-0 run midway through the fourth put Strasbourg in front, 73-70. The hosts never relinquished the lead as they did not allow a single field goal in the final 12 minutes and 20 seconds of the contest. 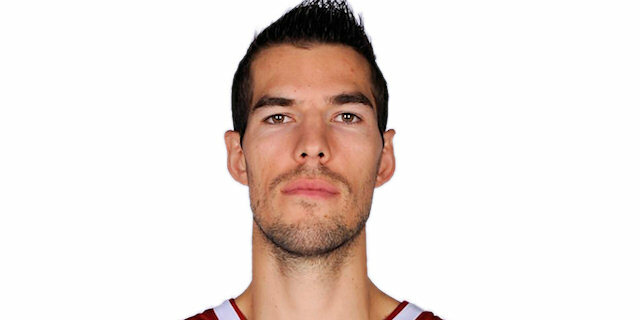 Leloup netted 24 points with 8 rebounds in victory. 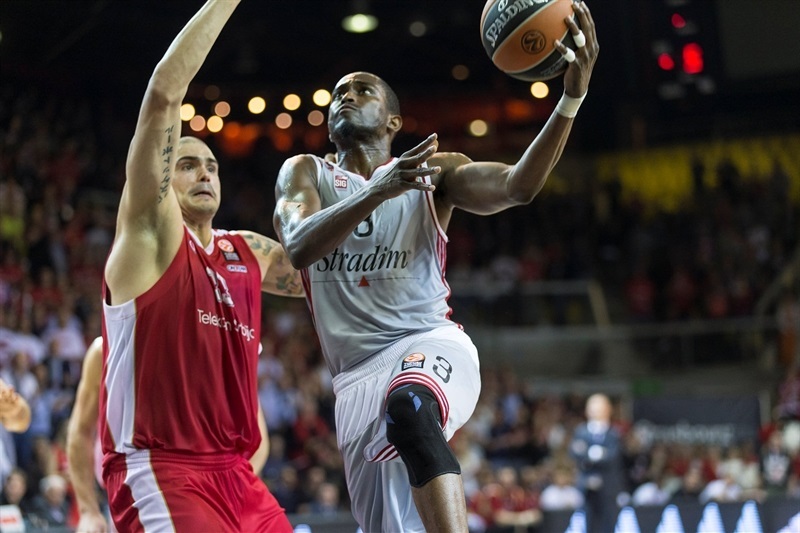 Rodrigue Beaubois scored 17, Vladimir Golubovic collected 13 points plus 9 rebounds, while Louis Campbell scored 10 for Strasbourg. 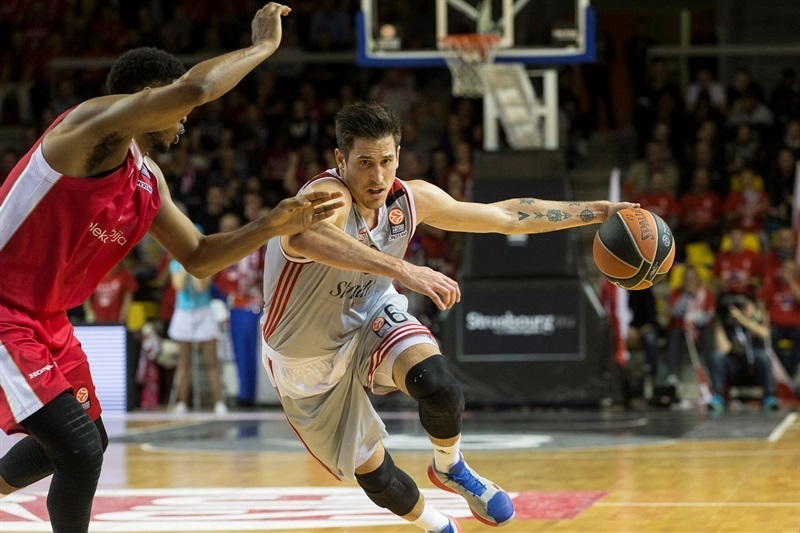 Miller had a monster game for Zvezda. He scored 14 of his 23 points in the first quarter and finished the game shooting 5-for-10 from three-point range, while pulling down 12 rebounds and blocking 4 shots. Marko Simonovic netted 18 and Marko Guduric 13 in the losing effort. Miller nailed a triple on the opening possession and then hit another 30 seconds later. After Mardy Collins opened Strasbourg's account with two free throws, Miller nailed his third three-pointer, making it 2-9 after 75 seconds. Beaubois hit a jumper and Leloup had a fastbreak layup, but Miller scored inside to get his personal tally to 11 points, and give Zvezda a 6-11 lead after three minutes. Stefan Jovic fed Simonovic for a three-point play, before Golubovic scored a floater and Leloup a triple for the hosts, cutting the deficit to 11-14. Ryan Thompson answered by driving to the hoop for a layup, but Golubovic fed Kyle Weems with a bounce pass for a layup on the other end. 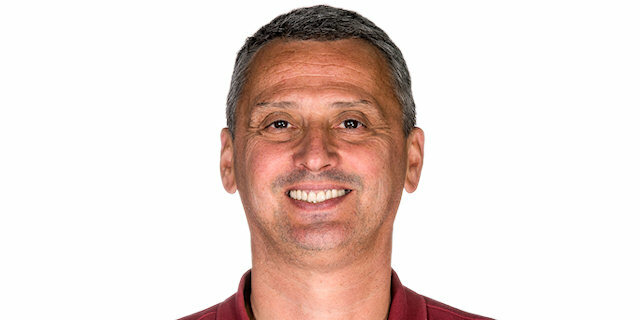 However, Simonovic hit his first triple, and after Golubovic scored with a soft touch inside, Miller buried his fourth from the left corner, and Simonovic hit another one of his own to lead 15-25. Zvezda did not allow a field goal in the final 3:30 minutes of the quarter, as Marko Guduric hit the visitors' seventh triple of the quarter, and Vladimir Stimac added a tip-in to make it 19-30 after 10 minutes. Leloup drew 3 free throws, then added a baseline jumper to open the quarter. Simonovic and Campbell traded threes, before Guduric and Leloup exchanged triples, making it 30-36. Romain Duport got Strasbourg within 4 points with a jumper, but Guduric bettered it with a three-pointer, before Jovic made a steal and went on a breakaway layup, 32-41. After a timeout, Zvezda's run continued with Zirbes scoring 4 points, then Miller contributing with a monster dunk in the lane. Jovic added a pair of free throws, before Thompson scored a fastbreak layup to make it 32-52 with two minutes to go in the half. Golubovic scored from close range, snapping a 0-16 run, but that was also Strasbourg's only basket in the final seven minutes of the first half that made it 34-52 at halftime. Miller continued where he left of, with a triple to start the third that made the difference 21 points. Campbell made a floater, and Leloup scored inside, 38-55. Now, the hosts kept Zvezda without a basket for three minutes, as Leloup and Golubovic each scored from close range to cut it to 42-56. After a timeout, Simonovic got a lucky bounce on a three-point attempt. Leloup made a put-back, but Simonovic drained another triple to extend it to 46-62. Golubovic had a tip-in, before Zirbes worked his way inside for a reverse layup, keeping the margin at 16 points. 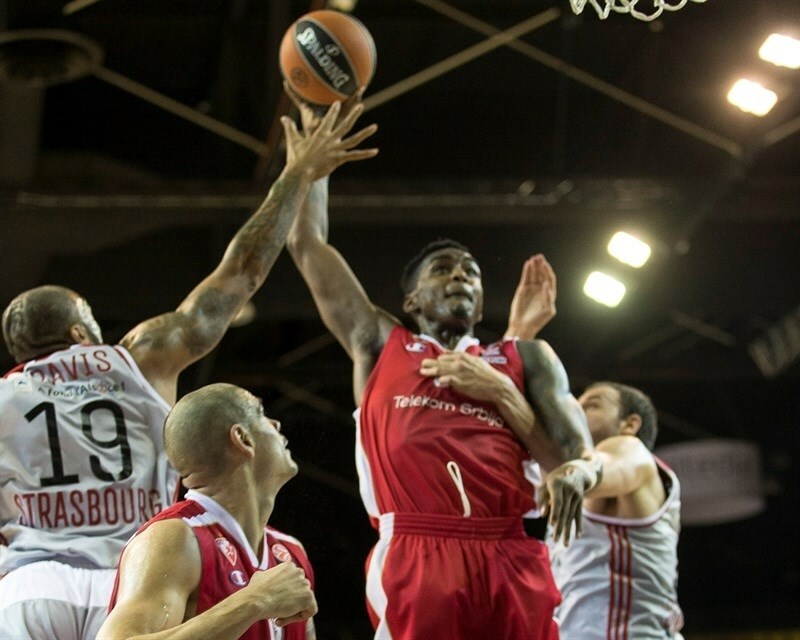 However, Leloup nailed a tough step-back triple, and Beaubois first made free throws, then finished a fastbreak with an easy layup to get Strasbourg within 56-64 going into the fourth quarter. Strasbourg’s run continued in the fourth. Beaubois fed Duport with a pass for an alley-oop layup, and after Duport followed it with long jumper, Beaubois knocked down a triple, capping a 15-0 run and making it 63-64. That forced a Zvezda timeout, after which the hosts did not score for more than three minutes. Meanwhile, Miller, Nikola Rebic and Guduric each made a pair of free throws to provide Zvezda with some breathing room, 63-70. However, Beaubois made 4-of-4 from the free throw line for the hosts, then had a steal and a fastbreak layup to get Strasbourg back within a point, 69-70 3:35. A tip in from Golubovic gave the hosts a lead with a tip in, then Weems followed it with a big fastbreak dunk to cap a 10-0 run, and a huge rally. After a timeout, Guduric and Beaubois traded a free throws before Campbell made a steal and went on to score a fastbreak layup-plus-foul that gave the hosts a 78-72 advantage with 83 seconds to go. Zirbes hit 2 free throws, but Miller made only one of two, making it 78-75 with 30 seconds remaining. Zvezda scored all 11 points in the quarter from the free throw line, but made one more defensive stand and had 3.7 seconds for the last shot. 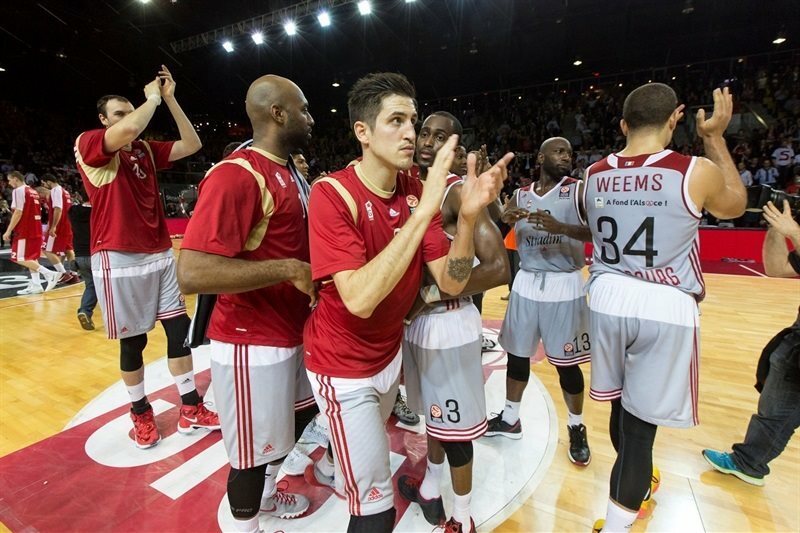 However, Simonovic missed a long final attempt at the buzzer, as Strasbourg had a historic comeback to celebrate. "It is necessary that we learn from this game. There is still much to do for the future. Belgrade had a level of excellent play in the first half. The players returned much more aggressive in the second half. The character we displayed during the last twenty minutes means a lot to me. Louis Campbell, Rodrigue Beaubois and Jeremy Leloup were excellent tonight. The turning point of the game was in the fifth foul for Jovic. We knew this was an opportunity to further elevate our level." 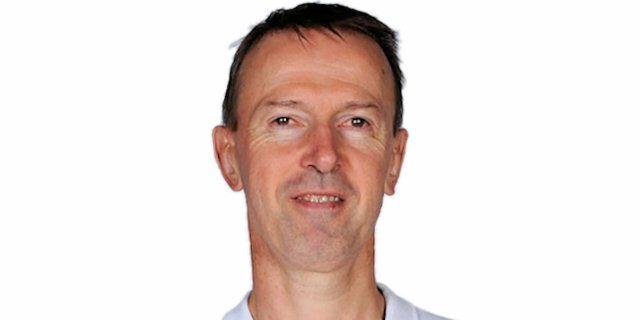 "Congratulations to Strasbourg. We started the game very well offensively. We knew that the second half would be different. Strasbourg is a good team. We were handicapped by injuries. 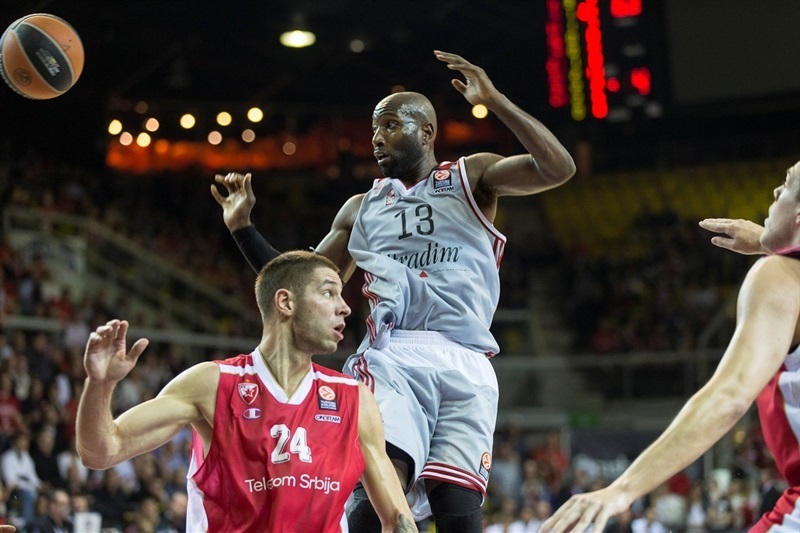 We had big problems in organizing the second half because Strasbourg defended very well." "Coach’s speech at halftime was very hard. We had put all our heart into the game to win. I played well, but the whole team played very well in the second half. It is necessary that we learn to be consistent for 40 minutes not to have this kind of game."